"Many believe that Apocalypse Nowwas the first popular film to open our ears to the possibilities presented by immersion in a listening environment. Once we transcended into the world of multi-channel distribution, many decisions had to be made, both creative and technical, that would influence how we experience the sonic world of a film. 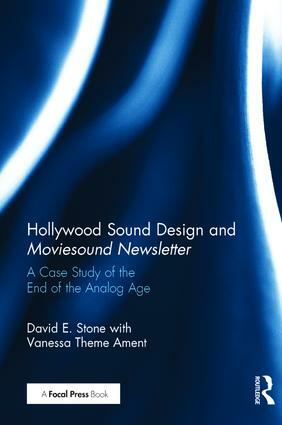 In Hollywood Sound Design and Moviesound Newsletter: A Case Study of the End of the Analog Age, David Stone and Vanessa Ament have gathered some of the great articles from Moviesound Newsletter, written by some of the seminal contributors to this creative process. This book is a must for those interested in understanding the progression of the storytelling process through the sound of a film that informs the use of film sound today."